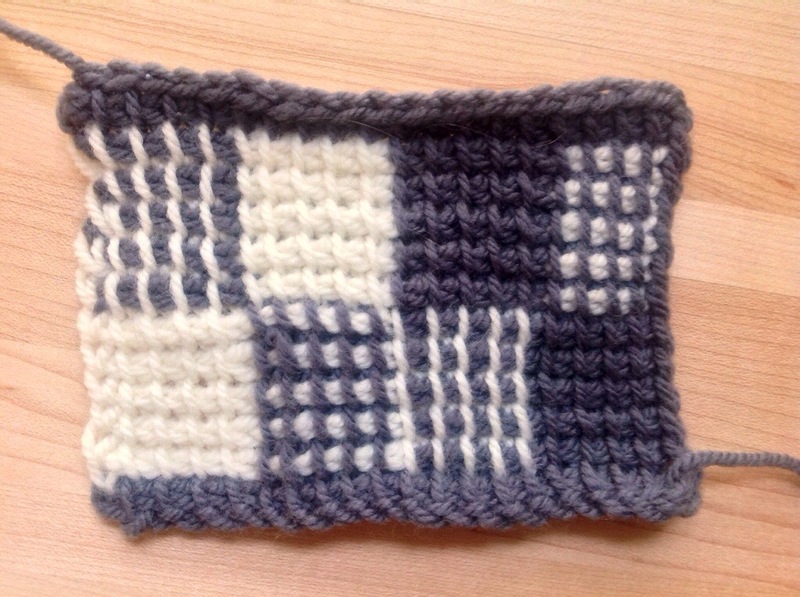 Afghan crochet hook and continue doing the tunisian simple stitch to create a woven look, and could I use the same size hook as knitting needle. I am using a 4mm knitting needle. Just an idea that has been swirling around, and wonder if it would work. You can, but you will almost certainly need a different size hook. When I’ve combined knitting and Tunisian crochet, I’ve usually needed a larger hook and needed to make swatches to figure out which one. Something to consider – the crochet fabric will be heavier and thicker than the knitting. I have combined the two in a sweater before, but I used the crochet for the yoke of the sweater (for stability) and knit the sleeves and body. It worked quite well, but I’m not sure that a knit yoke with crochet sleeves would be so successful. On the other hand, a baby sweater shouldn’t be affected as much, so it’s probably worth a try!